Under the previous government’s neoliberal policies, the local airports and ports were sold to other countries, which killed the local industries and the farming sector and made the country import dependent, said the newly appointed State Minister of Finance Anura Priyadarshana Yapa. Addressing a media briefing at the Prime Minister’s Office yesterday, he said the country faced a great crisis due to the devaluation of the dollar. He said that the price of many rural sectors fast declined over the recent past. For instance, he noted that the country’s pepper industry was a thriving and profitable export business. Yet low grade pepper was imported from Vietnam, mixed with our top quality pepper and exported, degrading the quality of our pepper. This caused the country’s pepper industry to crash. According to Minister Yapa, the previous government was of the view that we needed to bring in neoliberal policies to Sri Lanka. But, he pointed out that neoliberalism is now a dying trend even in the countries that first introduced this system. The US was the country that introduced neoliberalism to the world but due to the Trump policies and the foreign industrial investors fled the US and headed to other countries, He has now started funding and assisting their domestic industries. When these neoliberal founders are now moving away from these policies, what is the purpose in us embracing such policies?, he asked. He noted that by entrusting all our airports and harbours to foreign countries, the harm being done to the country is immense. 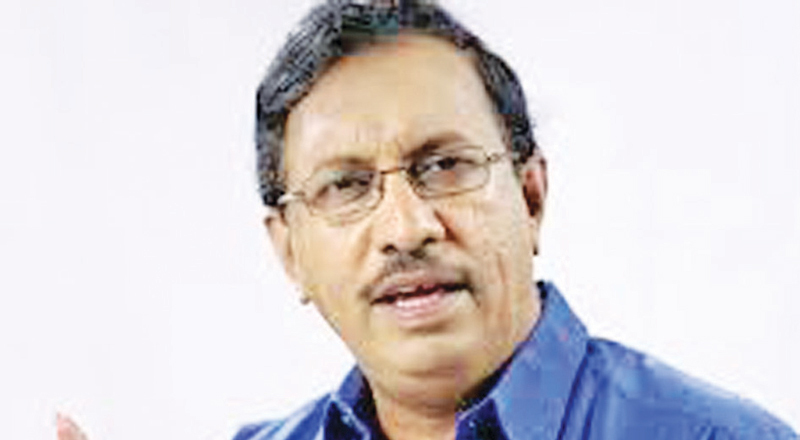 On the topic of the increase in taxes, State Minister Yapa said the previous government increased the taxes indiscriminately without supporting the local industries to develop. “Some of the local industries have to pay around 23% of their total turnover, this is a big burden for them and they cannot compete internationally with such burdens placed on them. Taxes are vital but this does not mean we should kill the local businesses with the tax burden. The imposing of indirect taxes also reduces the people’s purchasing power. The country has 117% mobile phone usage and people have to pay 1/3rd of their phone usage as taxes. Similarly the fuel formula is an utter farce. There was no formula there just numbers. Under the previous government there was no progress in any of the sectors in the country. Hence, the biggest crisis in the country was the economic crisis and this is what forced the President to take such drastic changes,” he said, adding that today the word ‘democracy’ is being used liberally, but if the people of the country are not benefited, then there is no use in talking about democracy. Hence, he said that after this political storm clears, they would work with commitment together with the President and Prime Minister and serve the people to bring about prosperity and put a smile on the faces of the people.